More than 250,000 couples are competing to buy a handful of first-time buyer homes coming on to the Dublin market due to the lack of supply. One of the country's biggest housebuilders, Cairn Homes, says there are 265,000 couples and 69,000 individuals in a position to buy one of its 7,200 starter homes, and that 90pc of first-time buyers it deals with are couples. In a note to investors it says the "massive undersupply" problem is likely to continue, but that demand is being driven by a high birth rate, inward migration and population growth. Using statistics from the Revenue Commissioners, it says there are 483,000 couples in a position to buy a home priced between €282,000 and €525,000. In addition, there are 165,000 couples who can afford to buy a home priced between €303,000 and €486,000. Cairn said there would be 7,200 starter homes priced at no more than €350,000 which it can deliver. The "addressable market" - those with a deposit and mortgage approval - for these types of homes is 265,000 couples and 69,000 individuals, the company said. For another 3,000 more expensive trade-up or trade-down homes priced between €350,000 and €450,000, there are 98,000 couples and 55,000 individuals in a position to buy. The figures come as the Dáil Housing Committee will today hear that some 55,000 new homes are needed in the short-term to meet pent-up demand, and that an average of 36,000 will be required for the next 33 years. 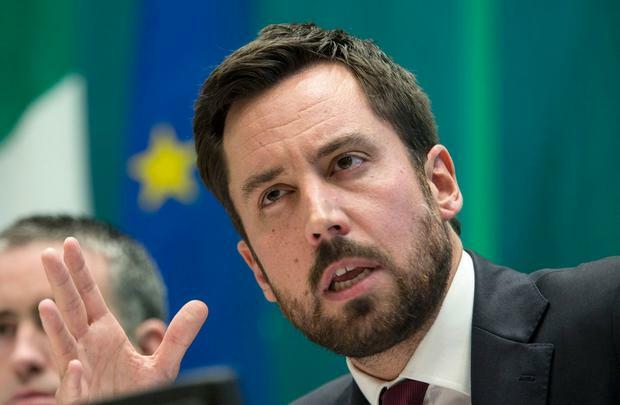 Property Industry Ireland (PII), which represents the sector, will also warn that Brexit risks hampering output due to concerns about its impact on economic growth and inward migration. This will result in a "decline in confidence" which could result in less overall supply of new homes and a shortage of finance. "Any increase in uncertainty may heighten caution and so have a negative impact on supply," PII director Dr David Duffy will say. "Brexit-related uncertainty may heighten funders' caution and reduce access to funding for homebuilding, also negatively impacting on supply." The Cairn investor note highlights that demand for homes is strongest among first-time buyers.